So hurry to the fishbowl tonight. Next year I could be just as good... if you check off my Fishmas list! 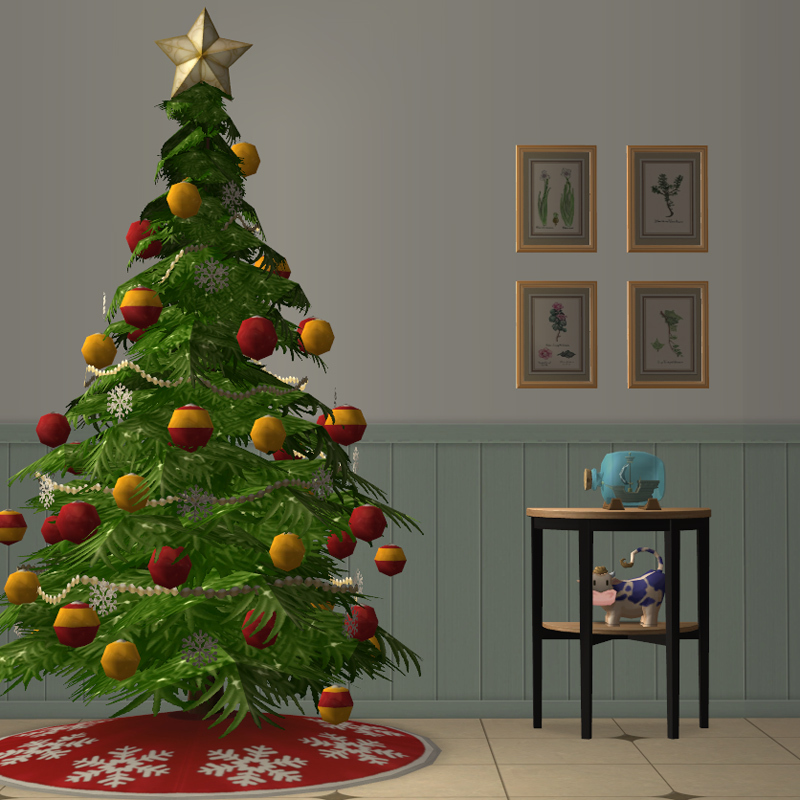 At an incredible 298 polys and 90 simoleons this hall table is a great addition to your sim's home. 2 slots, 2 subsets, quartertile compatible. Repository linked to the Arkelstorp coffee table you need the master mesh for all the recolors (and indeed to stop the flashing blue). Wow that is gorgeous, thank you so much SantaFish! Happy Christmas everyone! Merry Christmas and Fishmas, thanks for all the wonderful gifts SantaFish. Love it! Thank you, SantaFish and all of your HelperFish! Merry Fishmas, everyone!